This is a database of table tennis rubbers sheets, indicating their mass and size. Great credit goes to Silver (aka Silvalis) who has long maintained a database of rubber masses here. Since he was unable to continue updating the project for the time being, I have started this new database which is an extension of his, not a replacement. His database still contains a large number of entries not contained in this one, but the database below will contain the latest entries from the community and my own additions, and it will continue to be updated. So both databases should be checked for information. Credit goes to the members of OOAK Forum and more recently the MyTT forum for continuing to provide the data! Why is the mass useful? 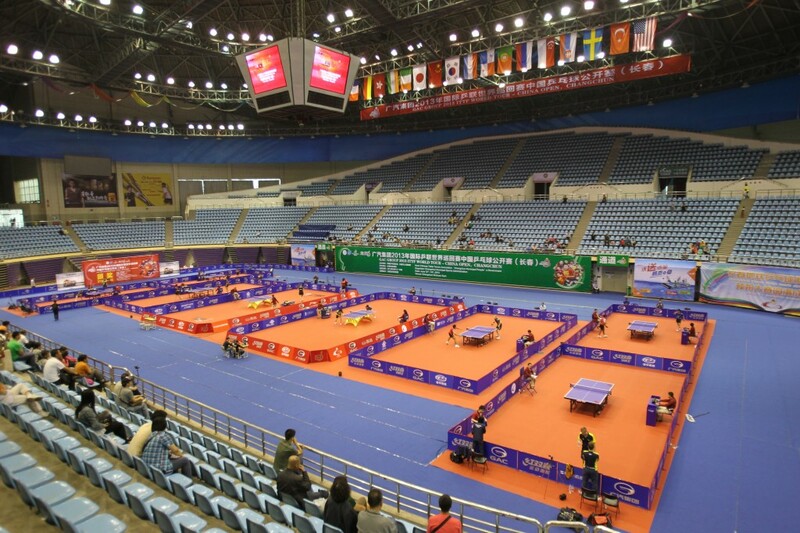 Most players have a preference for a certain weight of their table tennis bat. Although the weights of blades are usually indicated, the weight of the rubber is usually unknown. Since the weight of a bat is typically almost half contributed by the rubbers, and rubber weights vary a lot (from brand to brand and model to model), it’s important to have an estimate of the weight of the rubber. This allows you to estimate the weight of a new bat before you decide on the rubber / blade combination. Two heavy rubber can make a bat feel very top-heavy, and if you can’t get used to it, you’ll have wasted your money. Why is the size useful? Although most rubber sheets are cut at the factory to easily fit a standard size blade, there are a lot of unusually shaped blades out there, some much larger than standard. If you do happen to buy an oversize blade, this table can be useful to look up if the rubber sheets that you’re considering will fit your blade. How to estimate the mass from the data in the table? Use the table below to find the rubbers you’re interested in. A click on any column will re-order the list according the column values. Use ‘search’ to find any name (or part of a name)or number in any of the columns and it will list all the rubbers that contain that word or number. The top left pull-down menu will allow you to show up to 100 entries on a page. The last column in the table provides the weight of the rubber per square centimeter. So if you know the area of the face of your blade, you simply need to multiply this by this number and you’ll get a close estimate of the total weight. Add the other rubber as well, plus the weight of the blade, and you’ll get a good estimate of the overall bat weight. Don’t forget to add a few grams for glue and edge tape, and don’t forget that the sponge thickness affects the mass of the rubber sheet too. It can be a little tricky to work out the area of a blade face, but as a guide, a typical blade face area is about 190sqcm, so you can use that as a starting point. Another rule of thumb is that typically ~70% of the rubber sheet will go onto your blade (~30% of offcut), so about 70% of each uncut sheet weight should be added to your blade weight (plus a few grams for glue/edge tape) to work out the total weight. Will you help contribute? It’s easy! This database is a community project, so the more people that can help contribute, the more everyone benefits! If you can simply weigh and measure your new rubber sheet before you put it on your blade, and provide us with the information, it can be added to the database and you’ll be helping other fellow players from everywhere! All you need is a kitchen scale and weigh your sheet before you cut it. Can’t find Tenergy 05 weight for 2.1 thickness. 1.9 is not the standard. You’re right, it’s missing. It seems all the sheets of tenergy 05 I’ve measured happened to be 1.9mm. Hopefully someone will provide a weight for me soon, so that I can add it in. If I come across a sheet myself I’ll be sure to measure it. It’s just been added, as well as the New Tenergy 80 weight. That’s very useful, thank you so much Clement!!! Well, I’m not a member of either OOAK or MYTT, so I’ll post these weights as a comment here. Weird, seems that some rubbers have lots of weight variation between sheets. Thank you Paddy, I’ll add them to the table! Yes there are indeed significant variation between sheets… which is another aspect that makes this table useful I guess. Thank you, they will be added shortly! I’m making a custom paddle for personal use. I am hoping to find uncut rubber with dimensions at least 210 x 220… do you know if this is possible? I don’t think that’s possible Tyler. I’ve never even seen a sheet as high as 200mm. The height isn’t the biggest issue and you can glue the rubber higher and it would still be legal, but for the width the rubber must cover all of the blade. Thank you man_iii, I’ve added them in! Thanks Simon, we did not have that one yet! A suggestion : could you please put all the LKT and KTL rubbers under a same brand name like for instance LKT/KTL, so they could all be displayed with a single filter? An excellent suggestion, thank you. I will fix it. Thank you, I will include them! Was a bit disappointed, compared to the 52g I read here for a 2.0mm version. Either that was an outlier in the Xiom production, or a measurement error. Or I may have caught one on the very heavy side of the variability range. Thank you Jean-Balthazar! I’ve updated the table, including yours. Yes there are always variation unfortunately. The more values we get in the table, the more accurate the predictions of weight become. Oops, just saw these were already in the database (chances that the data would be exactly the same from an other review are low). Sorry I didn’t check before. Wow, thank you Tayfun Enginer!!! Adidas P7 Black 2.0 168mmx169mm 64g. Just a question: would it be possible to allow the download of the entire database? It would be helpful when someone (like me 🙂 ) needs to choose the right rubber using excel filters. Any measurements made on Stiga Innova ultra light? 168mmx171mm <<- I think others said 170mm, mine is not. Anybody still there to enter these values into the database ? Yes most certainly, it’s just taking me a while to catch up, sorry! All values up to this point have now been added into the database. A HUGE THANK YOU to all the contributors!!! All values up to this point have now been added into the database. 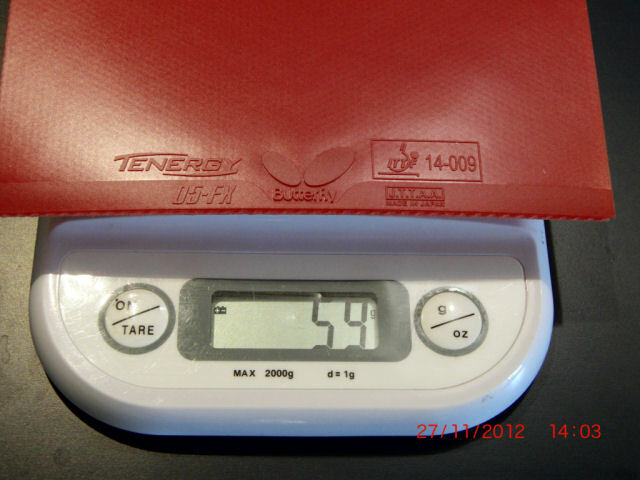 [quote] Tenergy-05 sheets may vary by weight a little, whereas all the sheets are marked as 2.1 mm thick. I’m really sensitive for any weight and resilience fluctuation of my rubbers, and I did asked the supplier to always provide me with a same rubber of 84 grammes as unpacked. This is my only privilege, indeed. You can always buy same Tenergy like mine in any shop worldwide. what about Mizuno Q4 and Q3 ?